R1950, Frank Chowning. 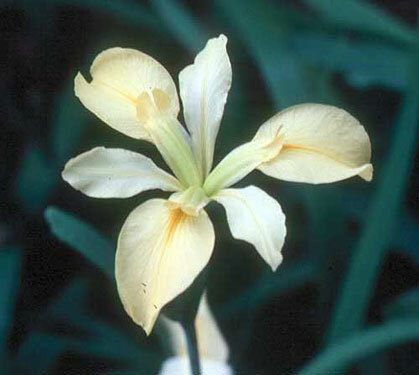 38", E. An older iris, long popular and with a terse registration description: "Sulphur yellow self; gold spot." The form of the iris shows its age, but it remains a graceful flower and a remarkably vigorous grower. It can dominate a planting, so give it space. Lockett's Luck X Louise Austin.